Some plants possess a survival superpower: the ability to deal with extremely dehydrating conditions like drought, cold and high salt. 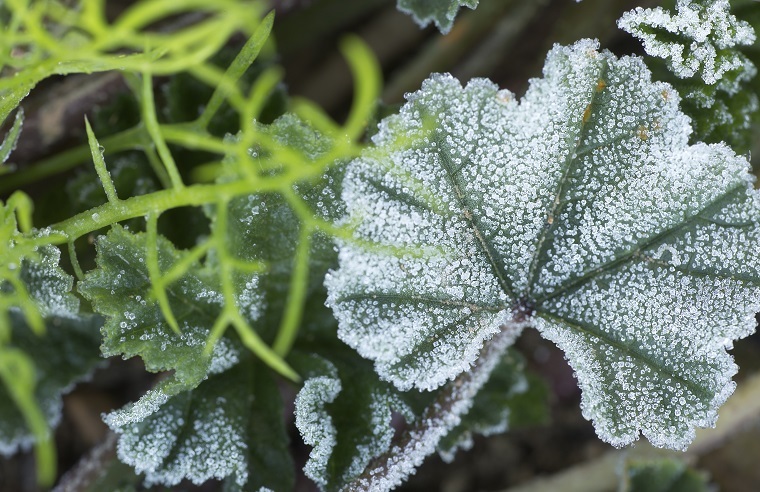 A group of proteins known as dehydrins is the key to this superpower, protecting essential plant enzymes from the damaging effects of dehydration, including freezing. Normally, enzymes and their target molecules work like a lock and key. The enzyme (lock) must have a specific structure to ensure that only a specific substrate (key) activates it. When a cell becomes dehydrated, however, enzymes can lose their three-dimensional shape and hence their function, becoming “denatured”. This is where dehydrins come in. Unlike conventional proteins, dehydrins lack a specific three-dimensional shape, and previous research has shown that they act as a shield between denatured enzymes. This prevents the damaged enzymes from clumping together. But according to Prof. Steffen Graether, a researcher in the Department of Molecular and Cellular Biology and expert on dehydrins, the ability to act as a shield fails to explain why larger dehydrin proteins are less “efficient” at protecting enzymes. Graether and his colleagues suspected that large dehydrins may alter the solvent properties of water. They set out to test this theory by using a special dye that changes colour and intensity under different conditions and found that larger dehydrins did indeed affect the solvent properties of water molecules. It is the combination of the shielding effect and change in solvent properties, say the researchers, which contributes to the protective power of dehydrins. But larger dehydrins have a greater effect on the solvent properties of water, which in turn limits their efficiency as shields. The study sheds light on the important ways that plant protect themselves from inhospitable environments and helps guide how research on dehydrins might be applied. “In the long term, we might be able to overexpress dehydrins in plants to make them drought and cold resistant,’’ says Graether. The ability to cultivate stress resistant plants could have a huge impact in areas with extreme weather conditions like Canada. Graether further notes that, with more research, dehydrins could even be used to increase the shelf life of high valued proteins, such as antibodies used in cancer therapy. With dehydrins still the focus of much scientific interest, it is possible that these “super heroes” of the protein world may yet surprise us with their myriad abilities to protect plants. This work was carried out in collaboration with colleagues at Cleveland Diagnostics and the Russian Academy of Science, and with support from the Natural Sciences and Engineering Research Council of Canada. Read the full article in the Biophysical Journal.